North Korea is making waves with the reported test launch of a submarine-launched ballistic missile (SLBM) – a game-changing “world-level strategic weapon,” according to leader Kim Jong-Un. If confirmed, the test would violate existing UN resolutions. Ordinarily, the world does not take Pyongyang’s threats too seriously – partly for the reason that there was no word on the North’s capacity to launch long-range attacks against sworn enemies like the United States. This could change, however; if proven, a fully-developed SLBM capability could see Pyongyang deploying strikes to much more distant locations than previously thought. Satellite images taken earlier this week appeared to show the top of a new North Korean submarine, complete with a pair of launch tubes that could be used for ballistic or cruise missiles. 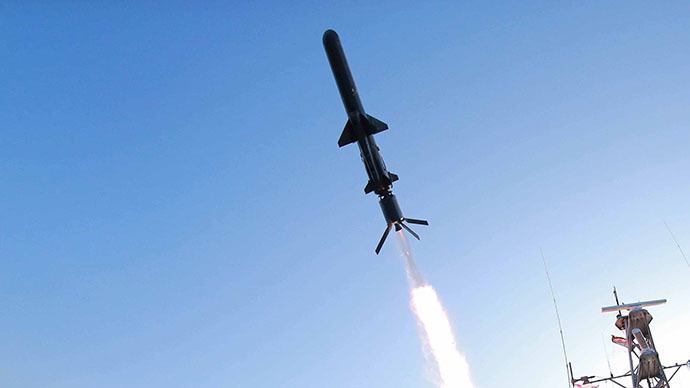 Analysts are wary of drawing conclusions on that, as they believe a full SLBM capability would simply be too costly and cumbersome for Pyongyang to develop at this time – “years”, according to the same Johns Hopkins university experts that analyzed the images. The United States promptly reacted to news of the possible launch and called on the North not to escalate regional tensions with such acts. A State Department official made reference to a number of UN Security Council resolutions Pyongyang will have violated if the launch turns out to be real. "We call on North Korea to refrain from actions that further raise tensions in the region and focus instead on taking concrete steps toward fulfilling its international commitments and obligations," the official said in an e-mail, as cited by Reuters.